The Government is committed to consistently resolving land disputes that widely occur in Indonesia, particularly those related to mosques, Islamic boarding schools, musallas or other places of worship. 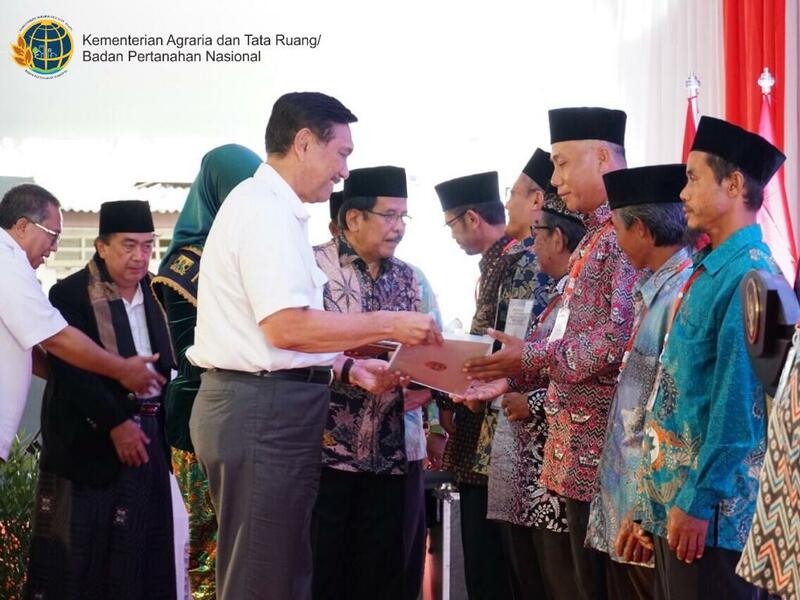 To that end, Ministry of Agrarian and Spatial Planning through the Complete Systematic Land Registration (PTSL) program on Wednesday (10/4) distributed 1,507 waqf (religious endowment) land certificates to a number of nazir (administrator of religious institution). 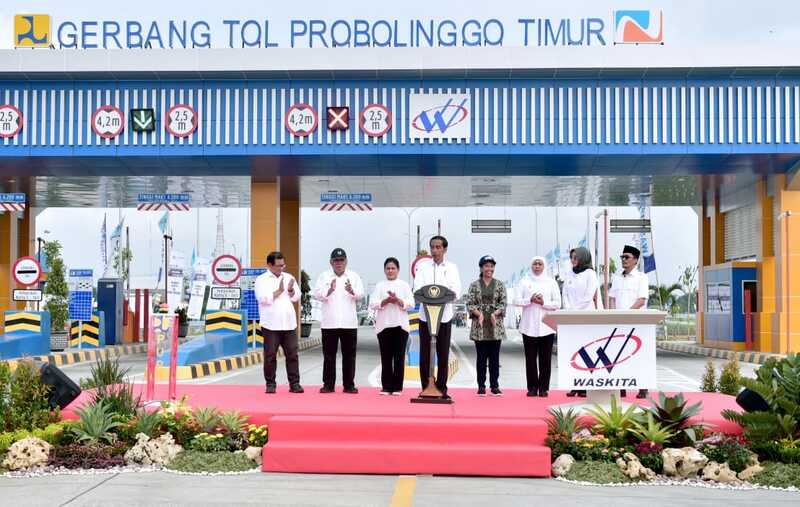 President Joko “Jokowi” Widodo on Wednesday (10/4) inaugurated the operation of Pasuruan-Probolinggo (Paspro) Toll Road at the East Probolinggo toll gate, Sumber Kedaung Village, Leces District, Probolinggo Regency, East Java province. The President expressed belief that with the operation of this toll road, mobility of people and goods will increase and in turn it will boost economy in the regions. 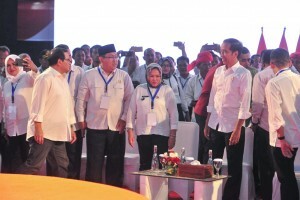 President Joko “Jokowi” Widodo ensured the village budget raise for development purpose. “I have strong connection with village as I born in the village, but that is not the only reason. To develop village is to develop Indonesia,” said the President at the National Village Administrators Gathering at Indoor Tennis Stadium of Gelora Bung Karno, Central Jakarta, Wednesday (10/4). 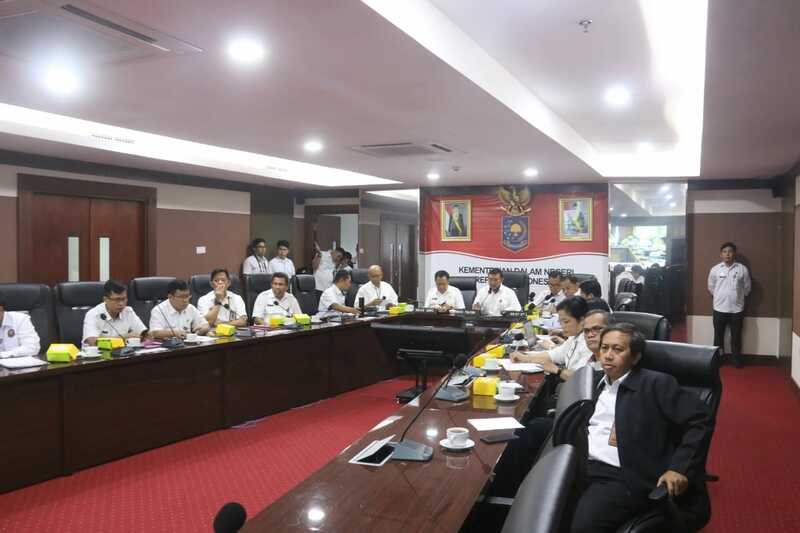 Ministry of Home Affairs held video conference with all governors to monitor preparedness of the 2019 General Elections, at the Ministry’s Office, Jakarta, Wednesday (10/4). In the video conference led by Director General of Politics and Public Administration at the Ministry of Home Affairs Soedarmo, Governor of West Papua Dominggus Mandacan confirmed the Province’s readiness to organize the 2019 General Elections and said that elections logistics preparedness has reached 98 percent. 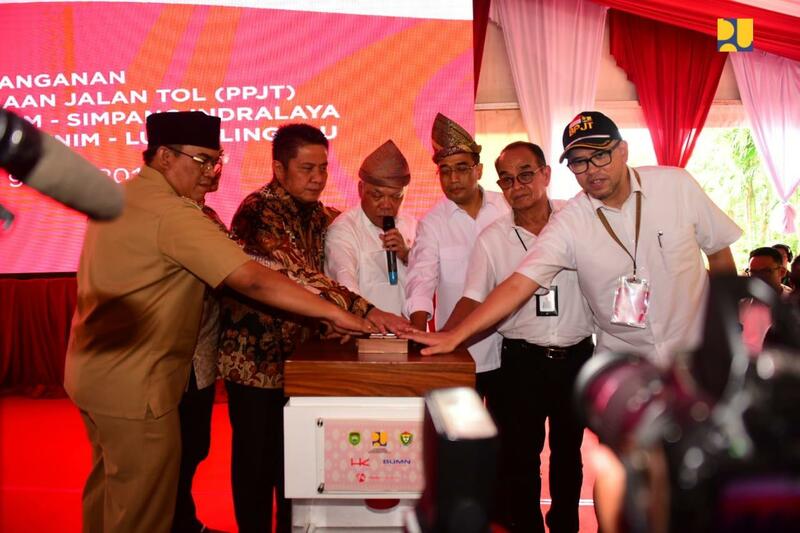 The Indonesian Government on Tuesday (10/4) began the construction of Simpang Indralaya-Muara Enim (119 km) toll road and Muara Enim-Lubuk Linggau (114,5 Km) toll road. 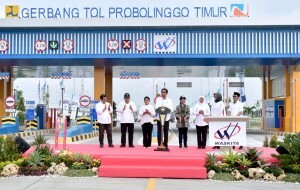 The toll road is expected to finish in December 2022 and will be connected with the Lubuk Linggau-Curup-Bengkulu toll road whose construction began last month. 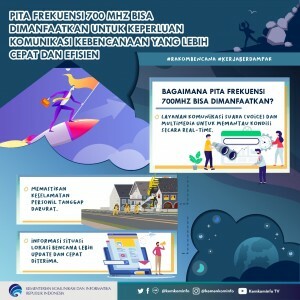 In a bid to improve preparedness and rapid response in disaster management by collaborating with ministries, institutions, and telecommunications ecosystems, the Indonesian Government prepared a disaster radio communication system by utilizing 700 MHz radio frequency. 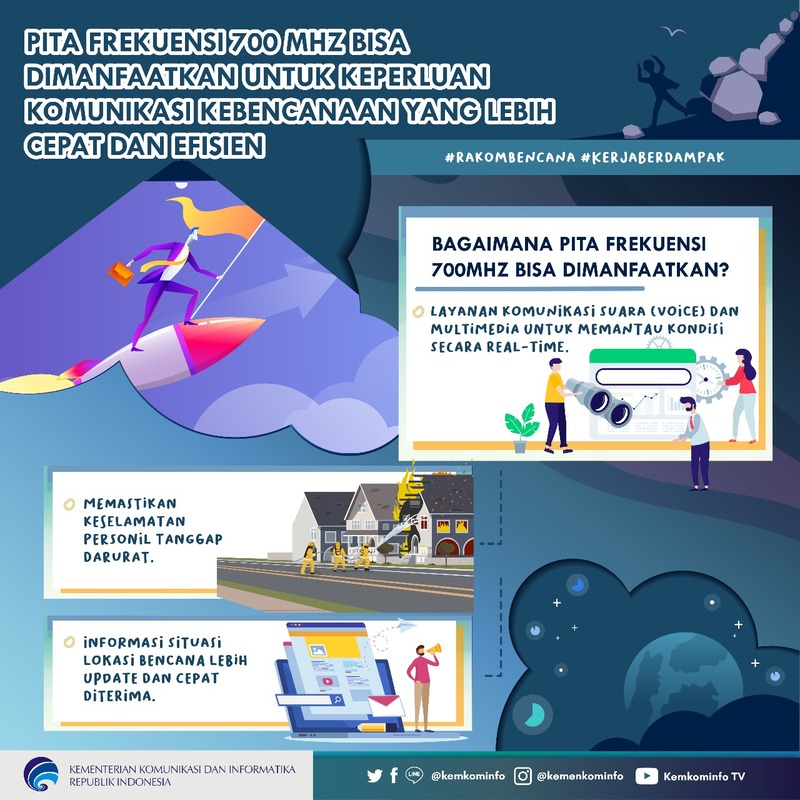 “The 700 MHz frequency is chosen because the frequency is quite low and have a wide reach compared to 1.8, 2.1, and 2.3 GHz,” Minister of Communication and Informatics Rudiantara said in Field Testing of Frequency Use 700 MHZ for Special Disaster Telecommunications in Plasa Telkom Pangandaran, West Java, Tuesday (9/4). Based on the BMKG press release on Wednesday (10/4), Wallace tropical cyclone in the northwest Indian Ocean of Australia has caused rising waves as well as changes in wind patterns in the northern and southern region of Indonesia with an average speed of 4-20 knots. President Jokowi answers reporters’ questions at Gelora Bung Karno Sports Complex, Wednesday (10/4). (Photo: Jay/PR). 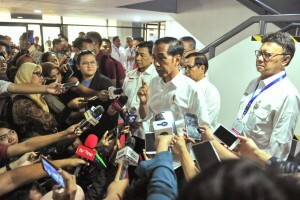 President Joko “Jokowi” Widodo has urged the Indonesian Police Chief to conduct a thorough investigation according to the law on Pontianak’s bullying case. A 14-year-old girl in Pontianak, West Kalimantan Province, is currently receiving intensive treatment at a local hospital after being attacked by 12 high school students. This case has triggered an international outcry on social media, demanding justice for the victim through an online petition. State-owned infrastructure financing company PT Sarana Multi Infrastruktur (SMI) and Bloomberg Philanthropies on Monday (8/4) signed a Memorandum of Understanding (MoU) on collaboration in capital market infrastructure, sustainable cities, government innovations, and other aspects related to Sustainable Development Goals (SDGs) in Indonesia. Indonesian Minister of Finance Sri Mulyani witnessed the signing ceremony held at the Bloomberg Philanthropies headquarters in New York, the US. The Joint Mission of the Council of Palm Oil Producing Countries (CPOPC) is held in Brussels, Belgium from 8 to 9 April 2019 to oppose the Delegated Regulation Supplementing Directive 2018/2001 of the European Union (EU) Renewable Energy Directive II (Delegated Act). 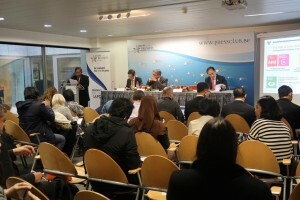 The event was also aimed at holding a dialog with the EU leaders in order to express the concerns of CPOPC Member Countries.